It seems increasingly likely that the next iPhone will have a larger screen that is the same width as the current device, but taller, reaching 4″ diagonally. There are still some interesting things to consider about this change. Specifically, I’m interested in why exactly Apple feels that this move is necessary at all? What makes a 4″ iPhone a necessity at this point, how will Apple execute it, and what will the extra real-estate be used for? 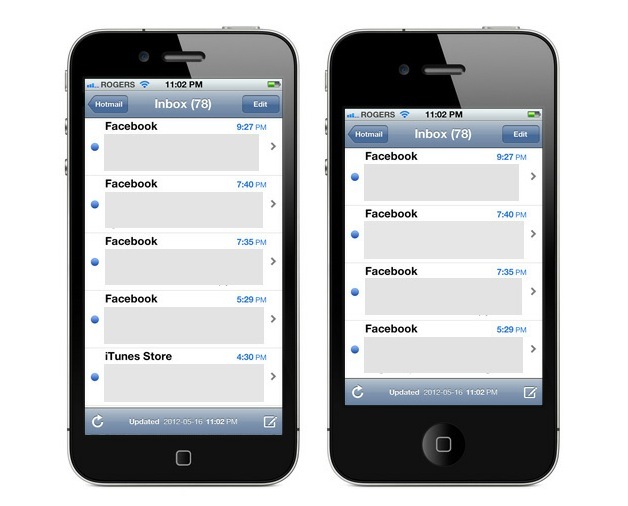 First, let’s talk about the how of increasing the size of the iPhone’s screen, then we’ll talk about why. On April 11th I wrote a skeptical article about a potential ‘widescreen’ iPhone with a 4″ screen. Since then, I’ve become convinced both by discussions I’ve had privately and by mounting public evidence that my doubts were for naught. The next iPhone to have a larger screen will use this ‘widescreen’ method. I’m not the first to discuss this. Rene Ritchie at iMore did some excellent work talking about the various options for a bigger screen. A recent scoop by 9to5Mac pins the resolution of the new screen at 1136×640 and John Gruber at Daring Fireball talked about why the math makes sense for a Retina 16:9 iPhone at 326ppi. There are several things that make a move like this very likely. One is the economies of scale leveraged in producing a screen with the same width and pixel density, just ‘longer’. 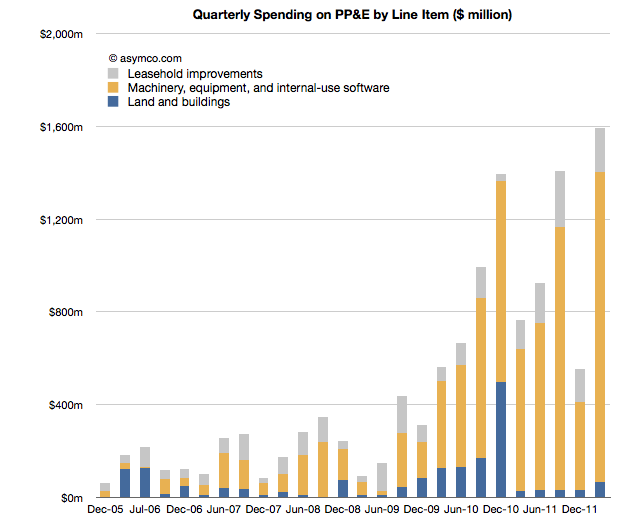 Apple also spent a bunch of money tooling up in the final quarter of 2011, as pointed out by Asymco. The spending demonstrates a bunch of money spent on building in-house software and production machinery. This could very well indicate a push for the production of the new iPad’s display, but also a change in the overall design of the new iPhone, which Ritchie says will feature a smaller dock connector. But what about that article I wrote? Isn’t a 4″ iPhone going to be unusable by touch? In April I believed that making the screen larger would be a usability issue. I know that many didn’t agree with me, especially those with larger-screen Android devices. I myself have a Galaxy Nexus which I use regularly and somewhat enjoy, so I understand that devices with larger screens are not ‘useless’. But there is a usability hit taken when you move much beyond 3.5″ and try to use your phone one-handed. 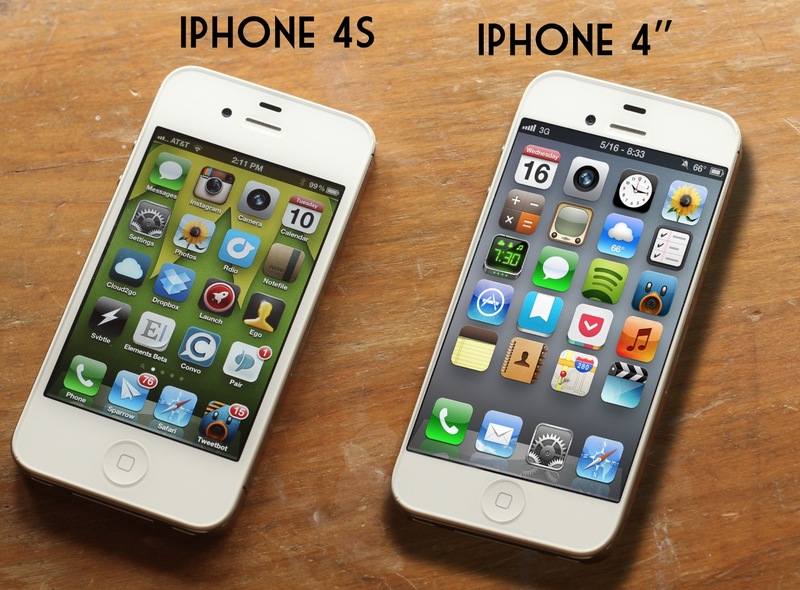 Designer Dustin Curtis pointed this out in a post on his blog and I discussed it further, stating that Apple would likely never produce an iPhone larger than 4″. This fits with what I said last month in most ways but one. At that time, I believed that the phone would grow physically larger with the addition of the larger screen. Now I believe it will actually stay very close to the same physical size, especially in the length and width department. Since the new design will, by all the accounts that I’ve heard, have a physical home button, it should still have to have a decent sized bezel at the bottom, but that could be shaved down a bit. A smaller home button could also help here, but extensive testing was likely done to determine the proper size for the current button, so that’s low on my list of possibilities. The top bezel may also be moved upwards slightly to accommodate the screen. This would mean less room up top for the sensors and speaker, but it’s not an insurmountable change. It will be harder to reach with thumbs, but not nearly as much as it would be if the casing was lengthened significantly. If the casing doesn’t grow, then both the top and bottom bezels of the screen would shrink. This would mean that your grip is shifted up the screen a bit by default, placing your thumb joint closer to the center of the screen, vs the bottom. This would help to increase your reach and stabilize your grip naturally on such a device. A smaller dock connector will help the casing stay the same overall size, but there are also a few other factors to consider. A big reason why It makes sense that the next iPhone’s casing will stay very close to the same size as the current device has to do with power. Even before recent rumors made it seem very likely that the next iPhone would have LTE, I ran the numbers on the battery life and hardware used in the current LTE iPad and came to the conclusion that the next iPhone would come equipped with the faster networking chip. It just makes sense that Apple would use the Qualcomm MDM9615 chip, which is built using a 28nm process, in the next iPhone. If you look at recent testing of the MSM8690 in the HTC One X,—which uses the same IP block—it has a minimal impact on battery life, even when using LTE. Short battery life has been the biggest negative aspect to LTE devices so far and using the lower power chip, along with other low-power parts like the Broadcom BCM4334 WiFi chip, would help the new iPhone keep the same longevity while packing in more pixels and LTE. The most interesting bit about the MDM9615? Its package area is actually smaller than the current MDM9600 used in the iPad. This mitigates the size constraints of older LTE chipsets used in bigger phones. It also means that there is more room for other chips on the board and therefore a bit more room inside the casing for battery without increasing the size of the phone. The processor of the next iPhone could very well be the version of the A5 found in the revised iPad 2. This 32nm-process A5 “revision 2” features 15.8% better power consumption and its package is no larger than the iPhone 4S’ silicon. Remember too, that Motorola has been shipping Lithium batteries with an alternative high-voltage chemistry in its devices for some time. A bump of just 0.1V from a nominal voltage of 3.7-3.8v in the battery of the next iPhone could easily make up the 10% difference needed for a low-power LTE chip. Another important factor is that there is another dimension to the iPhone. The next device may very well grow slightly in thickness if the battery needs to be physically bumped up in size. All of this ads up to a space savings that can be used to pack in a slightly larger battery. This would couple with lower power consumption that can equalize the hit of the higher-pixel screen, higher power consumption of the GPU to push those pixels, and the larger power requirements of LTE. All without having to increase the physical size of the device. The 3:2 aspect ratio of the current iPhone is an important one. It has a relationship to photography (which Apple is focused on with the iPhone) and the most common snapshot proportions. It’s also very close to the visually and aesthetically pleasing Golden Rectangle. So if Apple was going to move away from that ratio, it would have to have some very good reasons. You might argue that you could just scale the screen of the iPhone upwards without changing the amount of pixels that it has available to it, but that doesn’t work, and it’s not because the definition of a Retina display might not be met. The biggest issue when it comes to changing the size of the screen of the iPhone is that iOS designers—those building apps with custom graphics anyway—build to a physical size, not a number of pixels. Good UI designers pay attention to design conventions like Fitts’ Law that govern how large their touch targets should be for best ease of use. These are calculated to be easy to touch and use at their intended speeds and sizes. You can’t simply ‘blow up’ these apps to a larger size without them taking a usability hit. 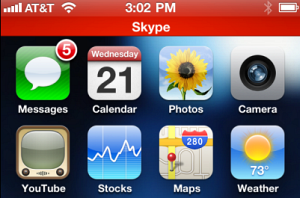 These apps would have to be redesigned anyway, regardless of the pixel density. By adding pixels to the long dimension, Apple will mitigate much of this by allowing apps that use standard UI to expand along the vertical (or horizontal if landscape) axis. The content areas—those between the top and bottom navigation bars of many popular apps—would scale easily in portrait and most apps are already designed to translate to landscape naturally. Indeed, many apps are already designed to be ‘mobile’ along the vertical axis, in order to be compatible with the ‘in call’ bar, which is active while you’re on the phone with someone. This means that a large portion of the apps in the App Store will work on day one, but that many others, especially those that use custom graphics, will have to be pillar-boxed or letter-boxed depending on orientation. I especially like Will Hains’ suggestion that the white iPhone could even receive a white pillar-box, although I’m not sure this sounds very ‘Apple-ey’. 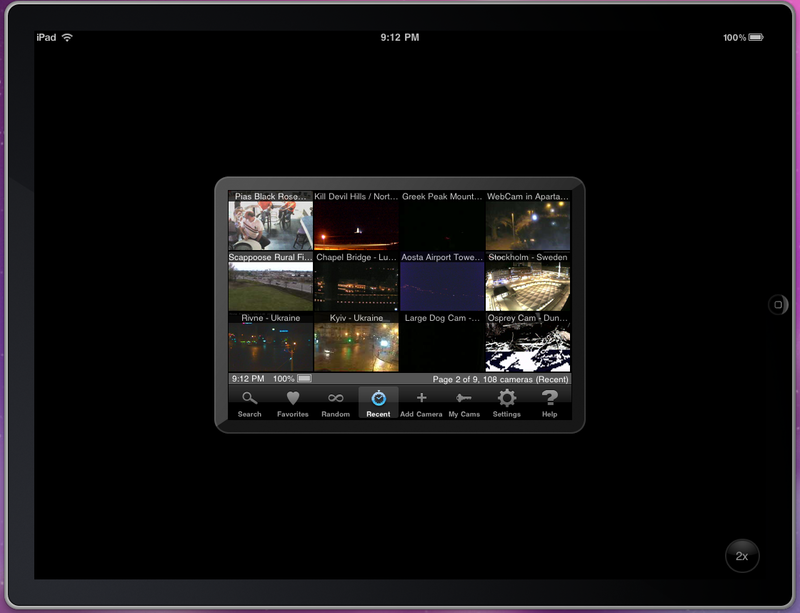 If you’re just outraged that any apps would be displayed this way and think that Apple would never do that, I present to you the crap solution it had to bridge the iPad gap: 2x apps, with their very own little glossy black border. I can tell you one thing, however. The extra real-estate will be available to iOS developers. As I stated earlier today on Twitter, these pixels will be made available to developers to use and will not be reserved for some iOS feature. This goes completely against the concept of the iPhone as an Information Appliance, which transforms the screen into the app that you’re using. Any dedicated space would work counter to this goal, and I don’t think that’s going to happen. All of this still leaves us with the question of why Apple would choose to make a 4″ iPhone at all. 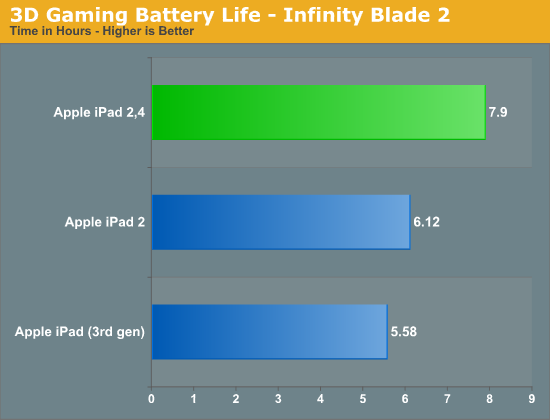 The 3.5″ version is doing very well in the market, what are the benefits to Apple, and to the user? No. Newly introduced ‘big screen’ Android phones run roughly the same price as the iPhone. The iPhone still sells better at nearly every major carrier in the U.S., its biggest market. Apple’s devices sell on the merits of the platform and on their ease of use, not feature parity or “speeds and feeds” charts. Android as an entire market is growing faster than the iPhone not because of the large screen phones that compete with it, but because of the hundreds of cheap models that are pushed by carriers at a low cost. Apple has no need to bump up the screen size to compete with phones that aren’t even selling as well as its current model. As a counter-point to a 16:9 display being worse for photography (the camera interface for normal snapshots would have to be pillar-boxed no matter what), we should take a look at what kind of material would be presented better on a 16:9 screen. Reading, of course, is a natural, as you get more column inches in vertical mode, but movie watching is probably the biggest winner. While all movies aren’t shot at 16:9, most of them are significantly closer to that aspect ratio than 3:2. So what if Apple is preparing for the release of its eventual movie streaming service by making the phone more film-friendly? The company has been fighting battles with the studios for years to get a streaming service off the ground and recently brought Universal into the fold when it comes to offering purchased movies in iCloud. A streaming service, perhaps subscription-based, for movies would make a huge case for a 16:9 screen. Currently, notifications pop down in a rough approximation of a flip clock, both when you’re on the home screen and when you’re inside an app. I don’t foresee this behavior changing while in-app, but there very well could be a change made to iOS to give dedicated space to present you with notifications while on the home screen. An expanded status bar, perhaps, or a dedicated slot just below the bar. If it was not being used to display a notification, it could be used to display the longed-for home screen widgets that debuted in Notification Center, one at a time, with others being accessed via swipe. Or maybe just another row of home screen icons. That would be the easiest way to use the extra space without upsetting the apple cart of the current iOS paradigm. A huge number of the top selling and grossing apps for the iPhone are games. Expanding the ‘horizontal’ portion of the screen that is available for touch controls would allow game designers to present more content to the player. Placing controls further to the left and right sides of the phone would allow for thumbs and fingers, without obscuring content. If the new iPod touch also took on this wider aspect as well, this would improve the appeal of the ‘gaming gift of choice’. Will it sell more iPhones? And, of course, there is the ever-present question that you should always ask when considering any potential revision to Apple’s device: Will it sell more iPhones? This is the simple logic that people fail to apply to a lot of Apple analysis. Apple is, first and foremost, a company that exists in order to make profit selling devices and services. In the end, almost any decision it makes can be tracked back to that end point. Probably even more so now that the still intense, but more analytical, Tim Cook is in charge. 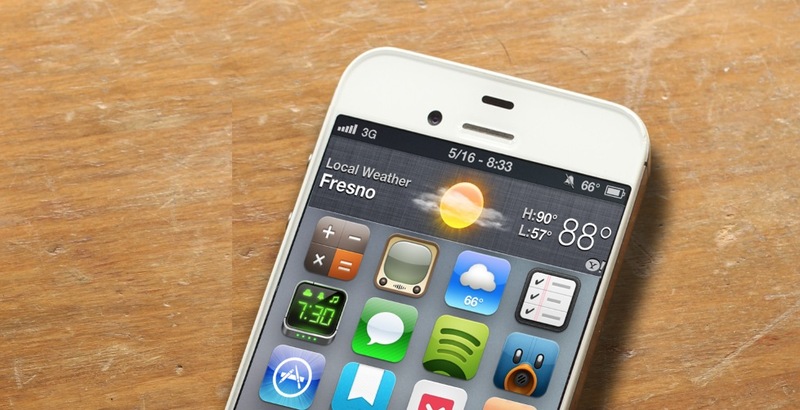 Do you think that Apple will add a feature like LTE to the iPhone? Answer the basic technical questions, of course, but then ask yourself…will this sell more iPhones? Yes, most likely. 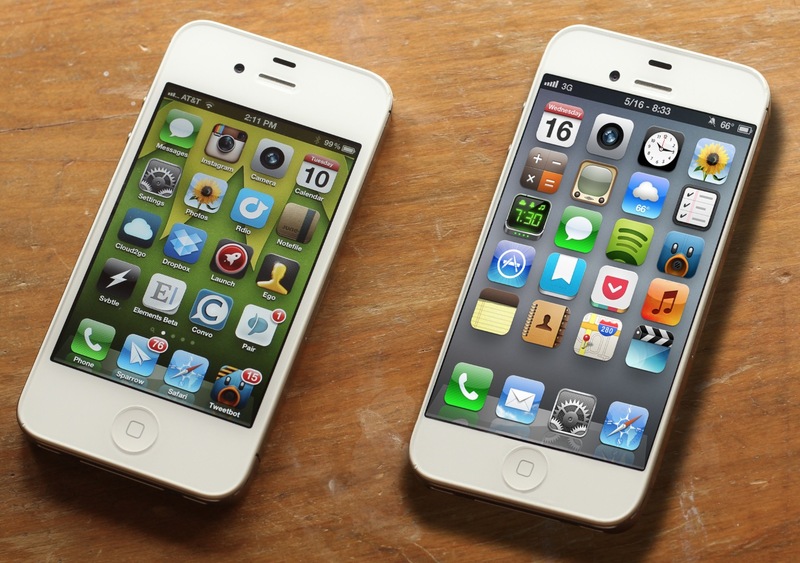 Will Apple sell a lot more iPhones by releasing one with a larger screen? Yes, almost definitely, both by being the first major revision to the iPhone in over two years, but also by driving down the production costs of the other models of iPhone, allowing Apple to aggressively pursue emerging markets. It’s the kind of logistical synergy that has been the hallmark of the Tim Cook Apple so far, and I don’t expect to see it change any time soon.